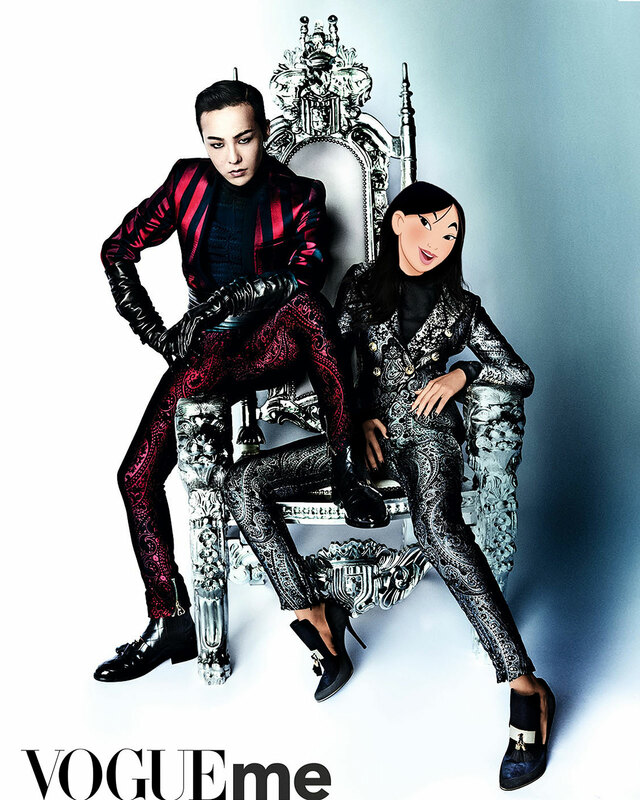 Olivier Rousteing with his Balmain Army as Disney characters. Kylie Jenner as Mulan, Kris Jenner as Lady Tremaine, Kim Kardashian as Jasmine, Kanye West as Aladdin, Cindy Crawford as Belle, Sean O’Pry as Prince Phillip and Jourdan Dunn as Pocahontas. Photographed by Sébastien Micke for Paris Match Magazine, photo edit by Gregory Masouras. When 23 year old Greek creative, Gregory Masouras, bought a new smart phone and then took a walk around his Athenian neighborhood to test out its camera features, he had absolutely no idea it was going to be the instrument through which he'd find international recognition. And yet, it appears that good things do come in small packages. Because now, two and a half years later, the simply brilliant idea of substituting the face of a "real life" person in a photo for the face of a favorite animated character has in turn, led to the creation of #AnimationInReality, Gregory's runaway success of an instagram project. 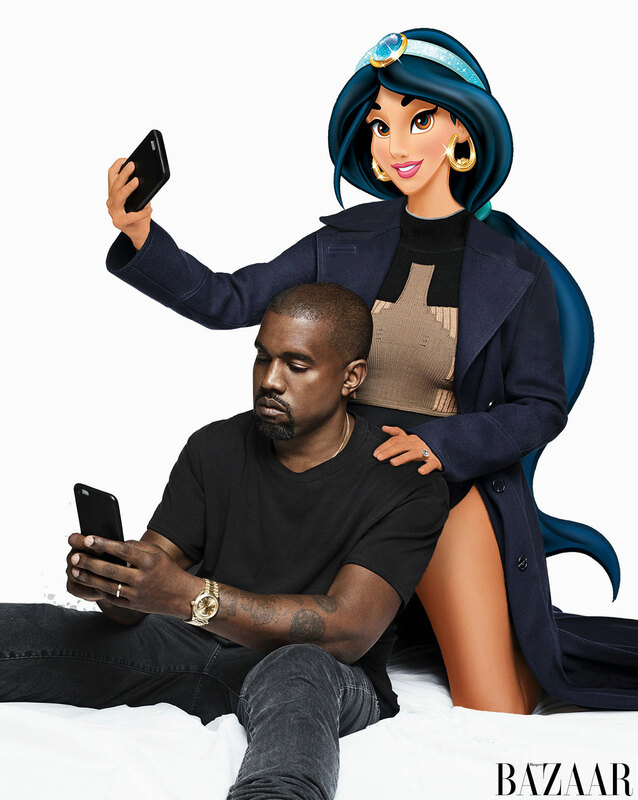 Currently boasting 117K followers, it seems that people from all over the world are eager to see Mulan replace Kendall Jenner on the cover of Vogue magazine; imagine what it would look like if Kanye West and Princess Jasmine were married to each other instead of to Kim Kardashian and Aladdin respectively; or, to see Marc Jacobs attend the MET Gala with Lady Tremaine instead of Bette Midler on his arm. "#AnimationInReality blends the favorite childhood celebrities with the modern adult ones," as he says. 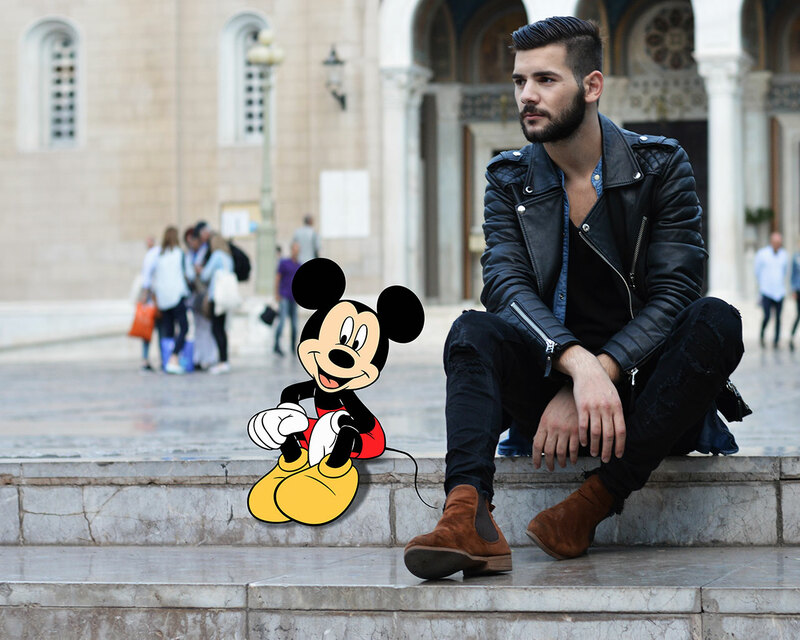 Gregory Masouras portrait with Mickey mouse. Photo © Gregory Masouras. 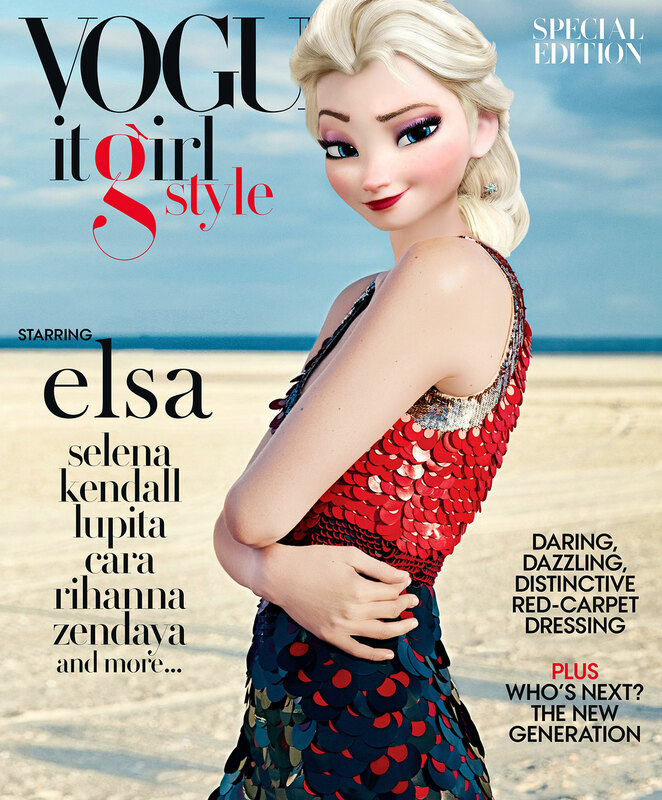 Gigi Hadid as Elsa from the cover of Vogue Magazine It-girl style special edition issue. Photographed by Gregory Harris, styled by Sara Moonves, photo edit by Gregory Masouras. Despite the followers, Gregory -who officially studied to become a pastry chef and is self-taught in Photoshop and photography- still labels #AnimationInReality a "personal project" on his Instagram profile. "I've come to realize the effect [the project] has and I'm really happy for the support and encouragement that I receive from important people from around the world. But to me it's still a personal project [and that] is the only thing that hasn't changed!" he says. We asked him how much thought he puts into, firstly, deciding which real photo to use and then on deciding which Disney character is the most fitting to stand in for the real person featured in the photo. "Sometimes I’m inspired by the character or general 'aura' of the celebrity," he shares. "Sometimes by his or her style [if it's one] that matches the cartoon. And then there are also the times that I focus on humor and spontaneity!" Introducing GQ's Body Issue featuring Cristiano Ronaldo and Alessandra Ambrosio as Ariel. Photographed by Ben Watts, photo edit by Gregory Masouras. 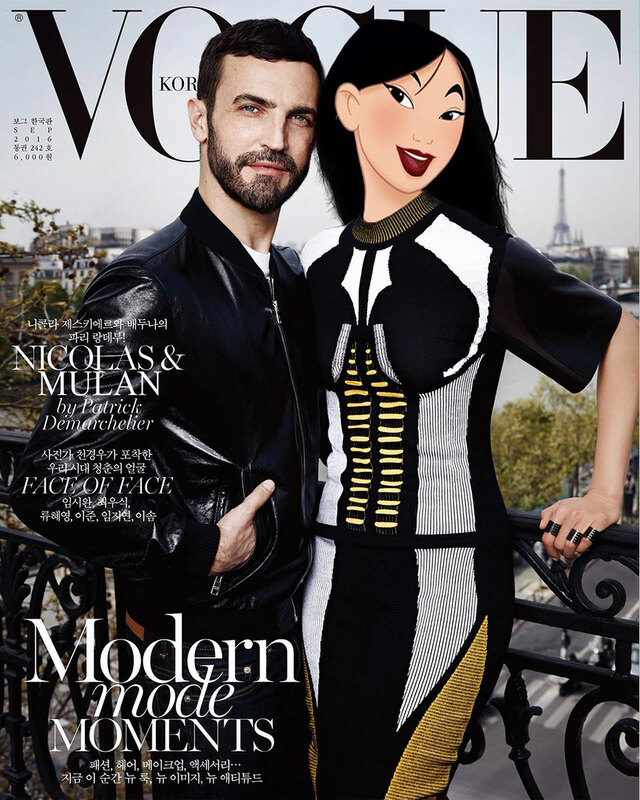 Nicolas Ghesquière and Bae Doona as Mulan in Louis Vuitton from the cover of the September 2016 issue of Vogue Korea. Photographed by Patrick Demarchelier, photo edit by Gregory Masouras. Lea Seydoux as Cinderella in Louis Vuitton's The Spirit Of Travel 2016 campaign. Photographed by Patrick Demarchelier, styled by Marie-Amelie Sauvé, photo edit by Gregory Masouras. While many of his customized photos receive a lot of applause, sometimes a particular one stands out over the rest. He shares with us how he was rewarded for deciding to turn supermodel, Irina Shayk, into Snow White for the cover of the W Magazine October, 2016 cover. Gregory happened to know somebody who knew Irina and before uploading it onto his account, his contact sent it to her. "She loved it and asked to post it herself before I released it," Gregory is thrilled to note. "You can guess what my answer was!" Paris Hilton as Cinderella from Fandemonium cover of Paper Magazine. Photographed by Vijat Mohindra, photo edit by Gregory Masouras. Lucky Blue Smith and Kacy Hill as Jessica Rabbit from the cover of the September 2016 issue of V magazine. Photographed by Mario Testino, photo edit by Gregory Masouras. I do what I do because it makes me and my followers happy. Every time I finish a project it feels good! Caroline Trentini as Aurora and Maria Carla Boscono as Mulan in Dsquared2 Spring/Summer 2016 campaign. Photographed by Mert Alas and Marcus Piggott, styled by Panos Yiapanis, photo edit by Gregory Masouras. 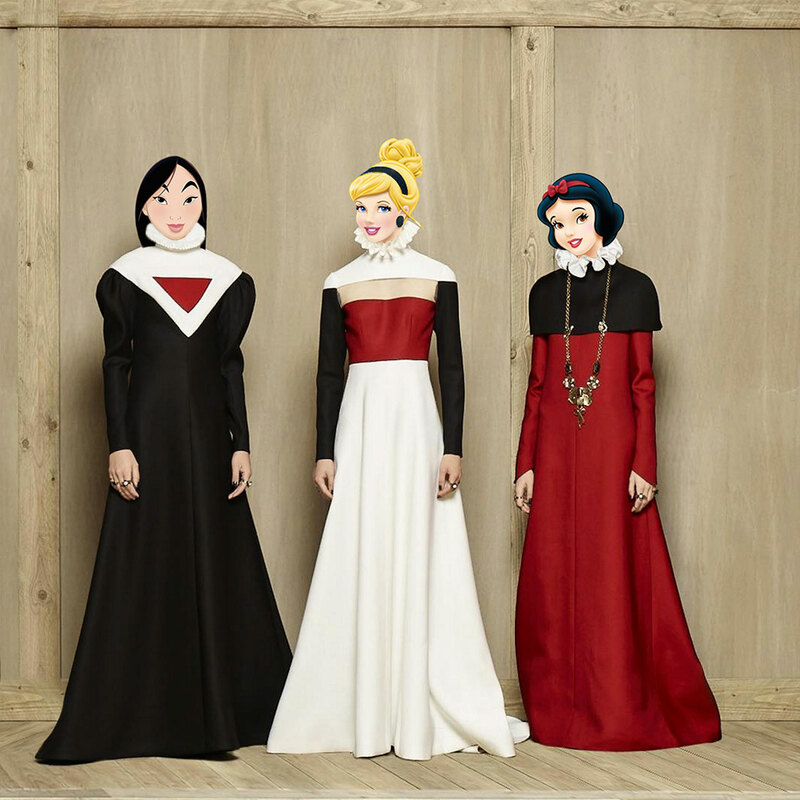 Straight from the catwalk, Mulan, Cinderella and Snow White replace the models in Valentino Haute Couture Fall/Winter 2016-17 collection. Photo edit by Gregory Masouras. When we asked if he was trying to make a specific statement with #AnimationInReality, Gregory refreshingly surprised us, as instead of giving a great, cultural reason hidden behind the animated smiles, he confided that the reason he does what he does is: "Because it makes me and my followers happy. Every time I finish a project it feels good!" He also added that he loves surprising and providing people with a "total contrast of settings and ideas." What's next for him and his pet project? He says that he has four new projects that he's working on which are completely different from anything we've seen from him so far. "Hopefully, people will like them as much as they've liked all my posts," he says. We think that we'll all be staying tuned to check them out! 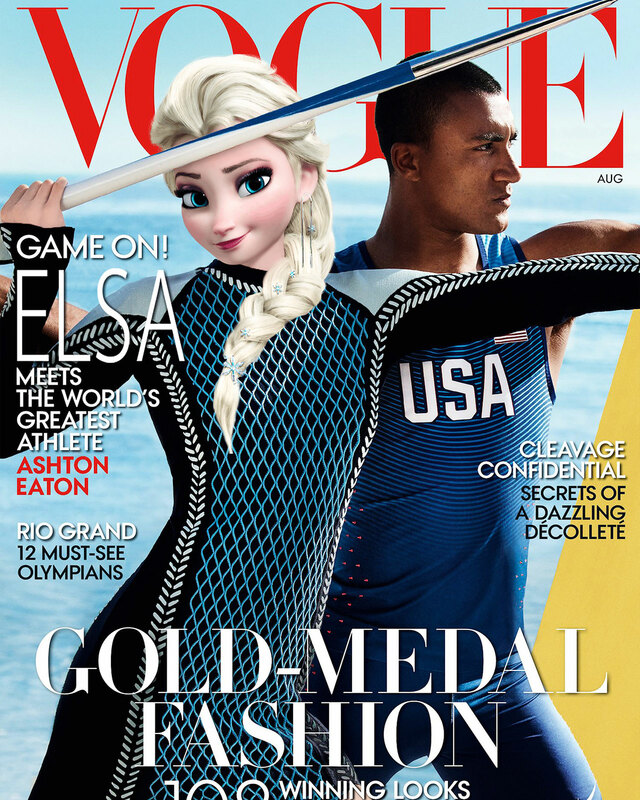 Gigi Hadid as Elsa meets Ashton Eaton from the cover of the August 2016 issue of Vogue Magazine. Photographed by Mario Testino, photo edit by Gregory Masouras. 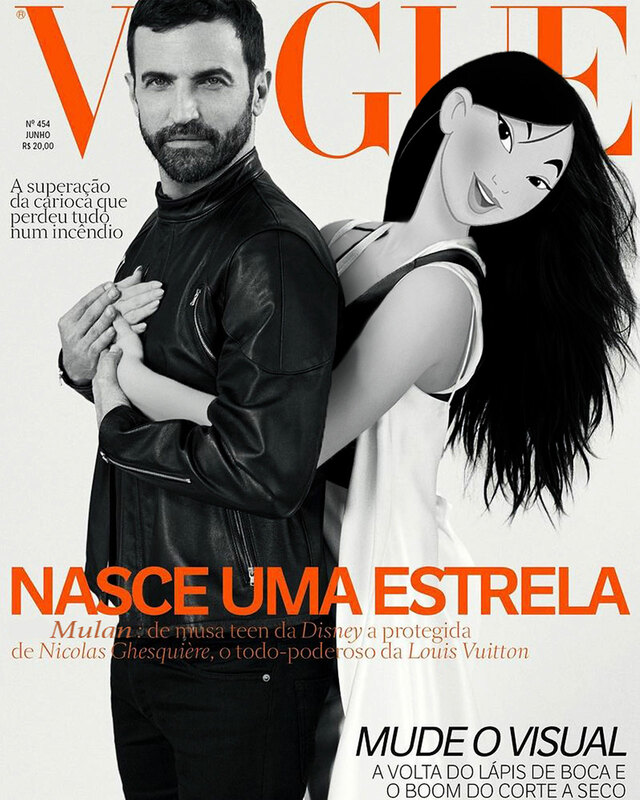 Nicolas Ghesquière and Selena Gomez as Mulan in Louis Vuitton from the cover of the June 2016 issue of Vogue Brasil. Photographed by Bruce Weber, photo edit by Gregory Masouras. 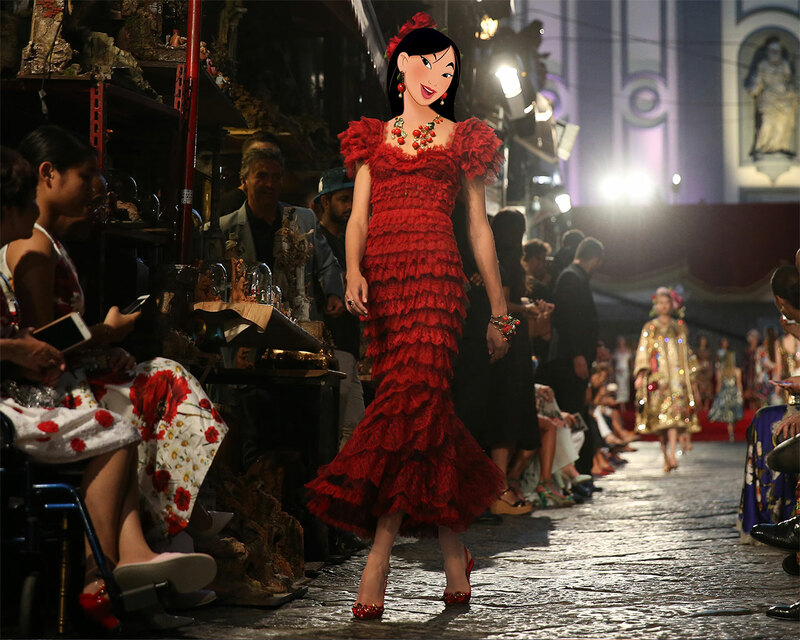 Tabitha Simmons as Mulan for Dolce & Gabbana. Reflecting the passions, feelings, emotions in all aspects of life through a form of art called Alta Moda. Photographed by FASHION TO MAX, photo edit by Gregory Masouras. 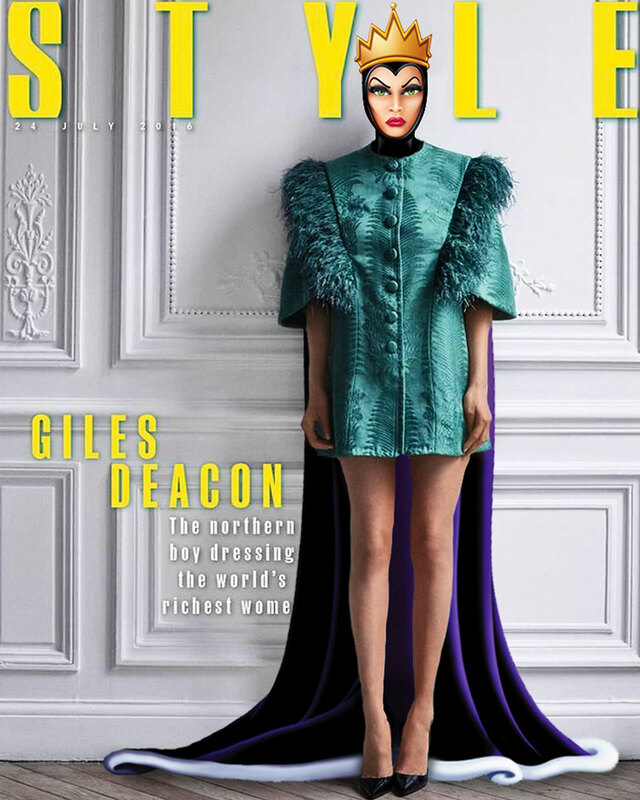 Bella Hadid as Evil Queen in Giles Deacon for The Sunday Times Style. Photographed by Phil Poynter, styled by Katie Eleanor Grand, photo edit by Gregory Masouras. Bella Hadid as Mulan and G-Dragon in Balmain for Vogue China and Vogue Me from August 2016 issue. Photographed by Mario Testino, styled by Anna Trevelyan, photo edit by Gregory Masouras. Kim Kardashian as Jasmine with Kanye West in Harper's Bazaar US September issue. Photographed by Karl Lagerfeld, styled by Carine Roitfeld, photo edit by Gregory Masouras. Lara Stone as Evil Queen in Philipp Plein from the cover of the August 2016 issue of Vogue Italia. Photographed by Steven Klein, styled by Patti Wilson, photo edit by Gregory Masouras. Bella Hadid as Snow White in Alexandre Vauthier dress and De Grisogono jewellery. Photo by gettyimages, photo edit by Gregory Masouras. Evangelie Smyrniotaki (styleheroine) as Snow White during the CHANEL Spring 2017 show in Grand Palais, Paris. Photo editing by Gregory Masouras.